Tea is available in a wide array of different blends of white, green, chamomile, black, earl grey, or the Southern classic—sweet. Although this beverage is often compared to coffee, it was originally a tonic, a form of medicine. 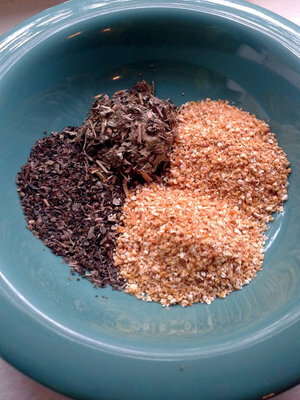 Sure, store teas come in a wide variety, but the options for making your own tea are limitless and much more diverse. When choosing to make your own tea, you have to first decide what you want to make tea for. Is it for flavor, relaxation or medicinal purposes? Once you have that figured out, decide what you want to use as a base. The base for your tea should be either a flower—which can be anything from lavender to chamomile, calendula, rose petals to violet flowers—or a regular tea blend (green, white, black, etc.). In this case, I’ll use green tea. You should only use one part of your base. Next you decide what flavor component you want to add. Do you want a rich lemony flavor or do you want a cool peppermint flavor? I chose orange peel because it has a nice light refreshing scent. You add two parts of this. 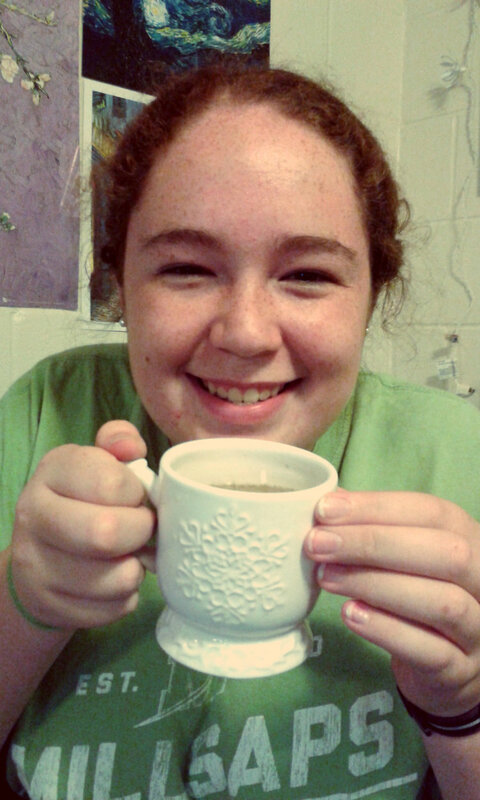 The last thing you add to this tea is a fruity component. Fruity herbs can be raspberry, blueberry, or hibiscus flower. I’ll use strawberry leaves, and I’ll use one part of this. If you want, you can add certain heating and cooling herbs to your tea. Heating herbs are herbs that will heat your body (valerian, licorice, burdock and ginger). Cooling herbs have a cooling effect on your body (mint, yarrow, dandelion). The next step is to go to Rainbow Co-Op or some other health food store that sells herbs and buy about a teaspoon of the flower and fruity component and two teaspoons of your flavor component. 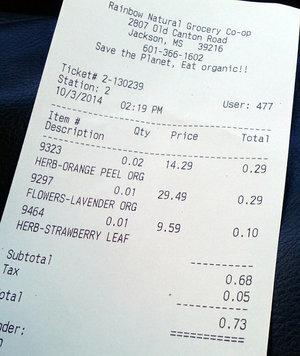 Tea can be made for under a dollar and green tea is about the same price per pound as lavender. Then you combine the different components. You can decide to let the tea sit for a few days to let the flavors combine or you can choose to use it right away. When you make the tea, use a teaspoon of the mix, add to a disposable teabag (you can buy this at most big-box stores such as Target), and then add to a cup of hot water or milk. Let the tea steep for 10 minutes and sweeten to taste. Enjoy, and make a cup for your roommate to enjoy too. Stay tuned, and I’ll show you how to make tea for your hair!